RTVV will close with immediate effect, announced the Valencian regional government tonight, as it is “financially impossible” to keep it open. The shock announcement came hours after the Valencia labour courts rejected a government plan to layoff over a thousand workers at the publically owned broadcaster. The Generalitat says it costs them 72 million euros a month just to pay salaries at the broadcaster, and if it has to bring back the fired workers it will bankrupt the region. Therefore, according to President Fabra of Valencia, it´s a question of “schools and hospitals, or a regionally funded broadcaster” and he prefers the schools. RTVV has accumulated debts of 1,2 billion euros. A restructuring of the broadcaster last year saw over 1,000 people laid off at the entity, with the state assuming the financial debt burden and leaving the broadcaster with some 480 people. But the courts reckoned the layoff was not justified in law, and today ordered the state to readmit the workers, and pay back taxes and salaries. The Generalitat has now withdrawn financial guarantees and backing from the state owned company, which will drive it into technical bankruptcy, and it is expected to file tomorrow. 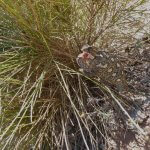 This entry was posted in Blog and tagged rtvv, valencia by David. Bookmark the permalink.